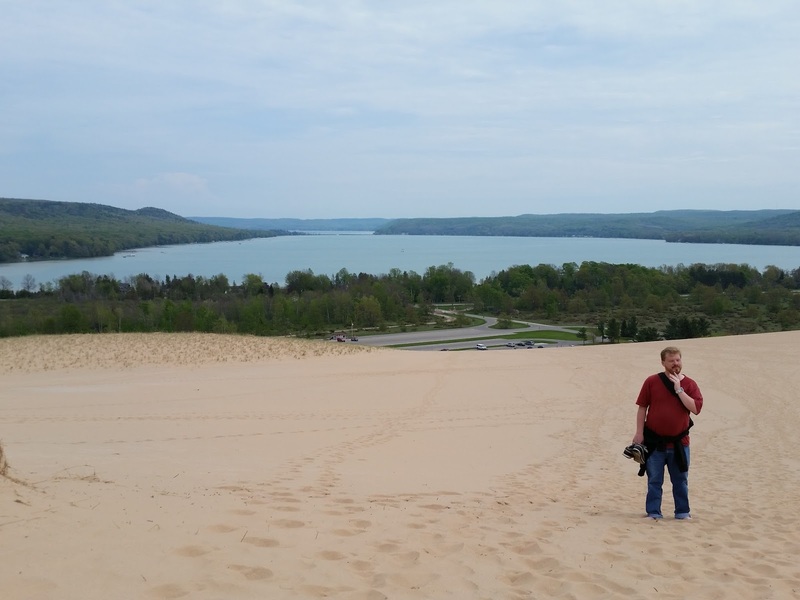 I have this week off from work and we had decided awhile back to visit Sleeping Bear Dunes. It's been a few years since we've been up to the area and the start of the visitor season seemed like a good time to visit. The weather was much cooler at the dunes than back down near Grand Rapids, which was a nice break. 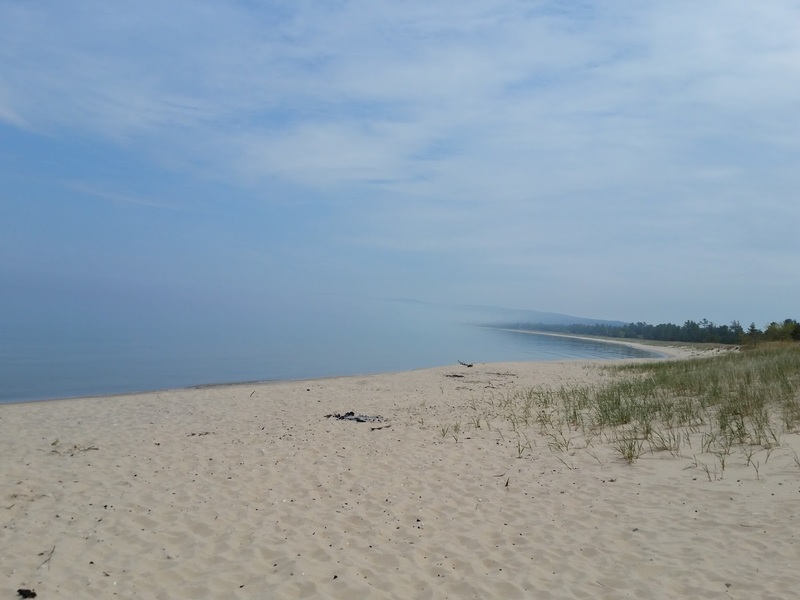 It was also kind of neat to see fog on Lake Michigan. Several of the trails we were going to hike were either closed, flooded, or under construction. So we finally ended up at the dune climb and decided to have a go at that instead. The last time I actually did the dune climb I was in high school and this time the area was much less crowded (and not as hot). So this was a nicer experience overall.